NACH JAHREN SORTIERT… / SORTED BY YEAR…..
Today, it is the 21st of June and it is a very special day, so let me explain, please! A few days ago, I met Loni Davidson at Facebook! She told me that her father was one of the first sappers here in hamelin in the year 1949! 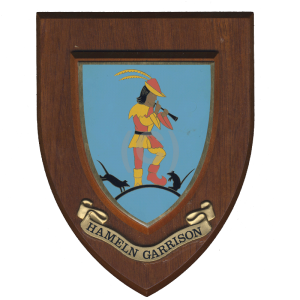 He served first at Bindon Barracks and after 2 years he moved to Gordon Barracks! In 1952, he moved to Nienburg! And after his time in Nienburg he was posted in several countrys all over the world! 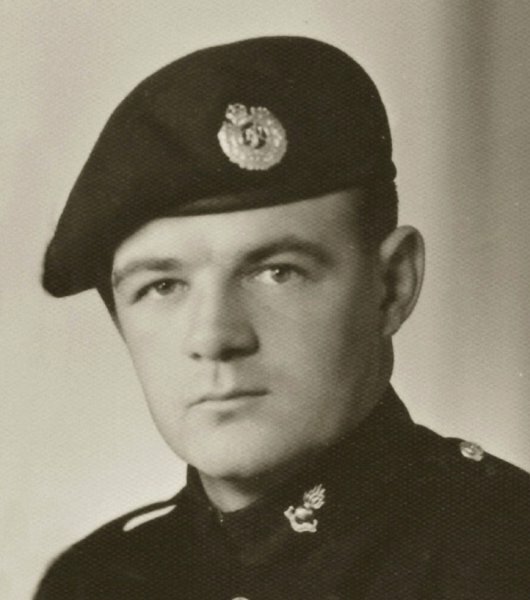 He joined the Army in June 1940 and left the army January 17 1968 as a Warrant Officer! Sadly he passed away on March 1, 1994. We are not sure, which unit he served with here in hameln. In Loni’s mind is the 21 Field Engineer Regiment. But she doesn’t remember the Squadron! Maybe there is someone out, who know more about Harry! His daughter Loni would be very happy about it! His name was Harry “Yakker” Yates. Army Number 3391177. Below you will se two photos of Harry! Why it is a so special day? Today on 21st, it is Harry’s brithday and it is my fathers birthday, too! But sadly may father also passed away 5 years ago! RIP! Maybe both ares sitting, wherever on a bar together and celebrate their birthday’s……. and another common gorund, both passed away in the age of 74! Something special I mean…! 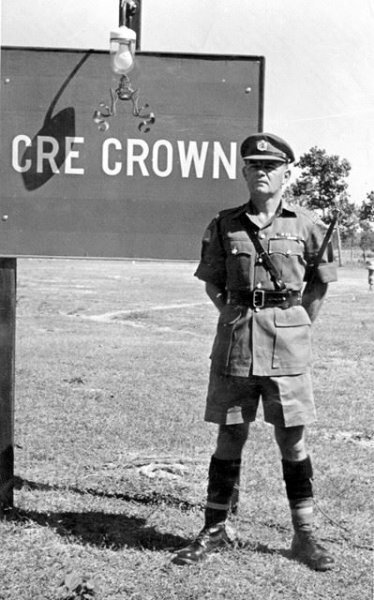 “Yacker” Yates served as RSM in Operation Crown in eastern Thailand in 1965. We were sent there to support the SEATO by building an airfield at Ban Kok Talat a village which lies close to the River Mekong marking the Thai border with Laos. At that time the Vietnam war was raging. The Royal Engineers built a most excellent airfield and then as our stabilising presence in the region was still desired went on to build roads and bore wells to supply the villagers with fresh water. “Yacker” Yates was well known for his talkative and colourful personality. As his wife once said, “Yacker” made up the rules as he went along! He was a popular RSM. Thank you so much Peter for further information about Yakker Yates! © 2019 British Army in Hameln.